SAN DIEGO – Club Tijuana Xoloitzcuintles de Caliente continues adding milestones on both sides of the border. And it continues to do it through the community at a grassroots level. The Xoloitzcuintles showed prof of that commitment with an exhibition match at San Diego State University Sunday night. 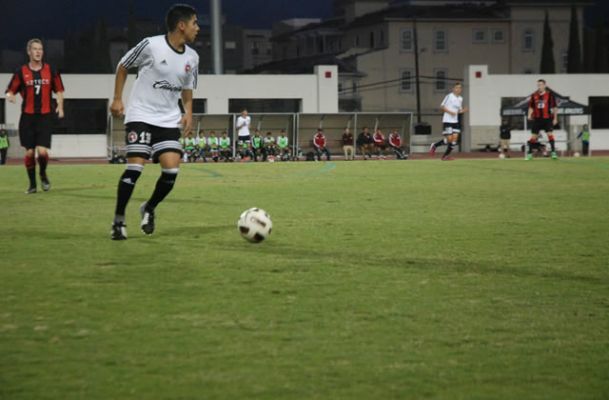 The Xoloitzcuintles Under-19 squad played to a 1-1 tie against the SDSU Aztecs Mens Soccer team at the university’s Sports Deck in front of 1,572 fans. Luis Chavez scored for Club Tijuana in the 65th minute while Greg Norris sent in the equalizer in the 76th minute for the Aztecs. Chavez converted a penalty kick while Norris scored on a shot from outside the box as Club Tijuana goalkeeper Brayan Sarabia attempted to make the save but slipped on the play. 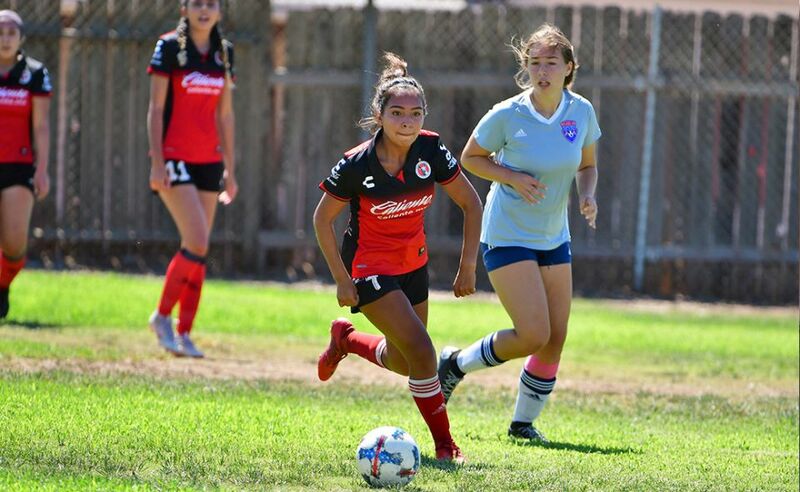 The Xoloitzcuintles fielded a mix squad combined with Under-17 and Under-20 starters. The combined Under-19 squad will travel to Switzerland Monday to compete in an international tournament. The match against SDSU was a send off for the young Xoloitzcuintles. The majority of the fans in attendance were Club Tijuana backers that included “La Maskr3” supporters group. Fans sang song, cheered and danced to the music playing in the stands during a festive atmosphere. On the field, the match between the Aztecs and the Xoloitzcuintles was` an intense midfield battle with plenty of fouls. Xoloitzcuintles goalkeeper Samuel Velazquez kept all danger away from the goal coming out and punching away several crosses that the SDSU men tried to send into the box. Velazquez also was forced to come up with a triple save after an Aztecs free kick cross into the box late in the first half. Long shots were the Xoloitzcuintles’ main weapon. Brandon Vazquez and Ruben Gonzalez had tries on goal that could not lead to anything. Juan Rodriguez also came close to scoring with a header from a corner kick. 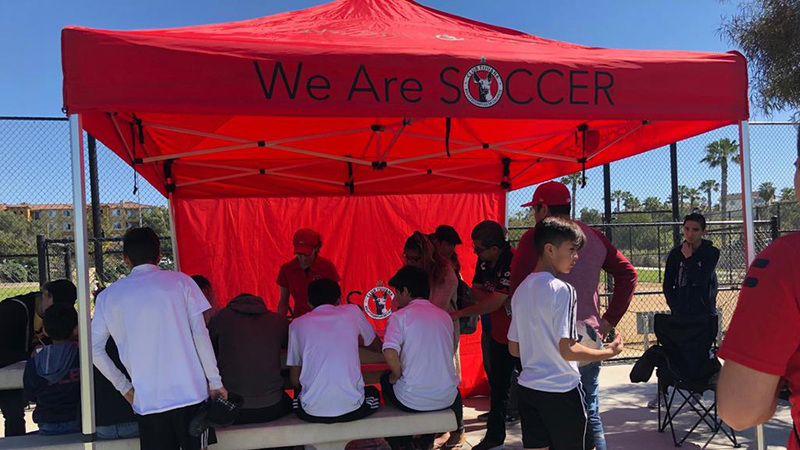 The match was part of a partnership between SDSU Mens Soccer program and the Xoloitzcuintles, created to support soccer in San Diego and its surrounding communities. The game was preceded by a joint all-ages youth clinic held by Xoloitzcutinles Xolos Academy FC coaches and SDSU coaches and players. 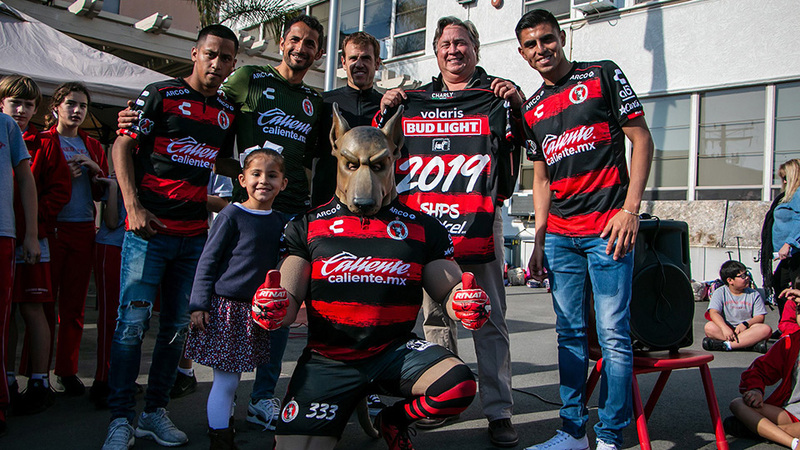 Club Tijuana plans to continue with events similar to Sunday’s in the future.